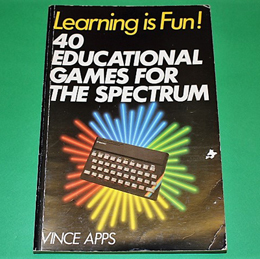 All the programs in this book are aimed towards educating young users to complement their schooling and familiarise them with computing concepts. Using a variety of games such as Hangman, Beat-The-Clock etc., the subjects covered are languages, geography, maths and sciences. You are also shown how to change the contents of the programs to suit as their skills improve. A 170 page paperback in good condition.